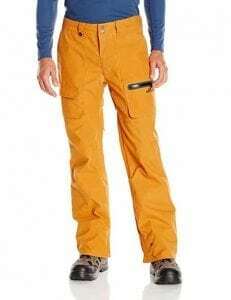 If you have already opted for a nice snowboard jacket for all your winter escapades, you need to pair it up with a durable and quality snowboard pants. As a man, you know the significance of quality and comfortability of every attire you wear. And when it comes to snowboarding, it’ll be much easier and more fun to show off all your thrilling stunts with versatile and durable pants that you can wear even in the frigid zones in winter. Picking out a pair of snowboard pants is just like picking out for a snowboard jacket. It should be waterproof, windproof, snow proof, comfortable to wear, provides proper insulation, and has breathable fabric. The trendy styles are a bonus! Have you found the best snowboard pants that will suit your quality preference and style yet? 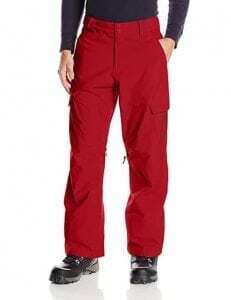 If you are still uncertain about your choices, we’ve gathered all the Top 10 Best Snowboard Pants you can ever find. Check out our favorite picks! It’s more than just the striking yellow color that’ll pop out in the midst of the snowy and freezing white winter. This Quiksilver Stormy Pants is an active fit that provides a perfect tailored fit that you’ll be comfortable with whether you’re out for snowboarding or just hanging out for a snowy winter. 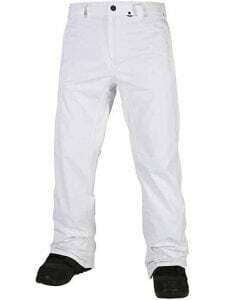 It is made of polyester and soft brushed tricot waistband that makes the pants wearable and comfortable. Quiksilver assures its durable quality with the fully taped seams. 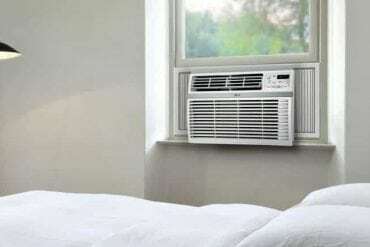 The mesh lining vents make it breathable to prevent moisture build-up from the heat inside and the cold temperatures. It features a 3-way closure system for a comfortable fit. The bottom leg gusset also has zippers for possible adjustments. It is waterproof so you won’t have to worry about wet and cold terrain in winter! And if you have some essentials you’d like to bring along the adventure ride, these pants have multiple pockets that are zippered to keep all your stuff safe and secure. Burton has always had a lot of options for every fashionable taste. But besides the trendy designs, Burton does not fall behind the quality and comfort. These covert snowboard pants are crafted with fibers that provide ultimate warmth and consistent comfort. It is features 2 layers of DRYRIDE, a solid nylon dobby fabric that fortifies its resistance to water. The seams are also fully taped and carefully crafted with cargo pockets and zippered pockets. So you can bring all your essentials when you’re out for snowboarding. With its mesh lining, the pants become more breathable that prevents moisture build-up and hence, keep you cool without the tacky feeling. If you’re looking for snowboard pants for husband or boyfriend, this men’s snowboard pants from Volcom is another great option to consider. And if you prefer a longer length, this will also suit your preference. This might also be an ideal option for men who are taller than the average height. 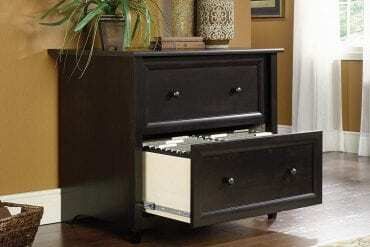 It comes in four different colors but showcases one trendy style. While it keeps up with style, it does not compromise the quality of the fabric and overall features. It is made of polyester with critically taped seams. It also features mesh-lined zippered vents in a modern-looking relaxed fit that will keep you dry all winter. For a more comfortable and adjustable fit, it has an adjustable inner waistband. 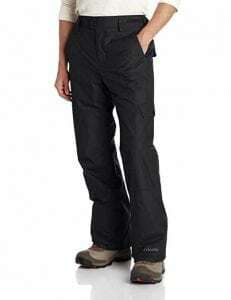 Trailside offers a huge range of high-quality snow pants for men that can get you through the breezy and snowy weather! These zip-off convertible bottoms will keep you warm whether you’re snowboarding or out for your winter activities. It is waterproof and windproof so you won’t have to worry about wet, dry, and windy weather conditions! 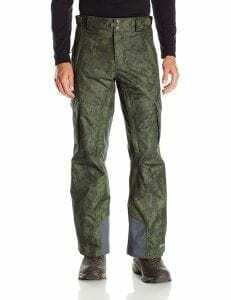 These insulated outdoor pants have a side-adjustable elastic waistband that gives you a perfect fit. It allows you to move comfortably while you’re busy doing your snowboarding tricks or just attending to winter duties. The zippered front and back pockets will keep your essentials safe and secure. If you’re considering a pair of snow pants from a trusted brand, you can never go wrong with Columbia. 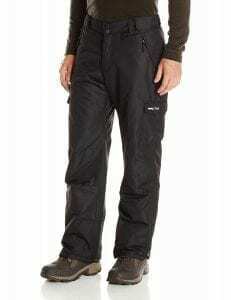 These waterproof snow pants are versatile and suitable for all your winter activities and sports like snowboarding. With its Omni-heat thermal reflective lining, reinforced cuff guard, and an internal leg gaiter, these pair of pants can be the ideal snowboarding pants that will keep you warm during winter. Less moisture build-up, better and more comfortable feeling. And these breathable pants have leg venting that helps cool you down to make you feel fresh and warm at the same time. The zippered hand pockets, back pockets, and cargo pockets provide functional storage for all your essentials. It is sometimes a little challenging to find the perfect fit when picking out a pair of pants, especially on the waistline. 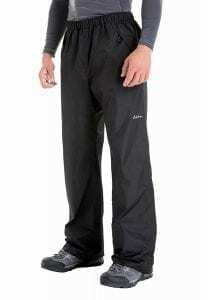 But these waterproof snowboard pants are stretchable with its elasticated waistband with drawstring. 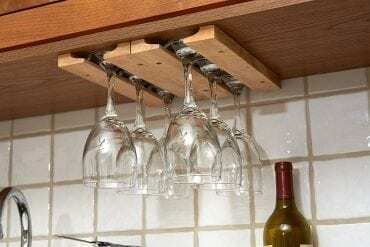 It can adjust easily according to the fit or size you prefer. These pants offer regular fit for easy layering and the adjustable Velcro tabs at the cuffs provide a more comfortable fit. It also seals the heat in for added warmth despite the gusty winds and cold temperatures. And to keep all your essentials secure and safe while you’re hiking or snowboarding, it has zippered pockets that you can use. DC provides a huge range of winter apparel and no wonder they’ll have their superb collection of snowboard pants. Just like this waterproof snowboard pants, it has a standard fit that makes it more comfortable and more comfortable to wear. The seams are carefully taped for increased durability. And to prevent the moisture build-up, it has a mesh lining to cool you down and keep you fresh all the time. The internal waist adjusters and snapped bottom legged gusset provide an ideal fit that allows you to move comfortably even when you’re up for your thrilling stunts and snowboarding tricks! It is also waterproof so, you can go gliding and sliding over the snowy slopes even under the rain or snow! We’ve got another entry from Columbia that streams along the stylish snowboard pants on the market. And if you want to keep the style without compromising the quality, these pants from Columbia is one of your best bets. It is waterproof that helps you dry up without getting soaking wet in the midst of rain and snow. It is also insulated so you can feel warm all the time even in the most frigid zones. The adjustable waistline provides you a comfy fit that adjusts according to your size and preferred fit. And if you want to bring some of your essentials outdoors, these pants have multiple pockets for storage. What else can go wrong with a pair of Columbia pants? 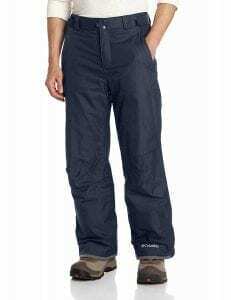 And if you’re still in search for reliable snowboard pants, these Bugaboo II pants are insulated to give you the warmth you need in the coldest weather conditions. The seams are intricately and carefully sealed with proper ventilation to prevent moisture build-up and hence, keep you fresh and warm all the time without all the sweat and tacky feeling. 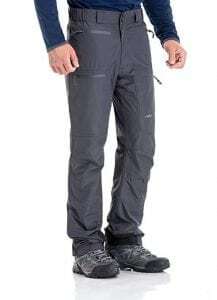 The waistline is adjustable which allows you to comfortably move while you’re busy with your winter duties or out with your winter sports and adventures. The reinforced cuff guard and internally adjustable leg gaiter are for added protection which also seals in the heat for a warmer feeling. They are waterproof, too! A lightweight and less bulky snowboard pants give you more flexibility and allow you to keep up with your snowboarding stunts without weighing you down. And these cargo snowboard pants from Arctix are uniquely made and crafted with high-quality materials to provide you with the best pants to use in winter. Apart from the lightweight feature, these pants are insulated with heat-trapping microchambers to help you stay warm all throughout the cold weather. To keep you dry and free from moisture build-up, Arctix designed their pants with a breathable high-tech material which makes them ideal for all your winter activities. It is waterproof, windproof, and snow proof so that you can enjoy all the days in winter despite the rain or snow! And to give you more room for all your essentials, these pants are crafted with multiple pockets. WATERPROOFING: The resistance of the pants to water is an essential factor that you should always consider. Winter’s all about the snow, but it’s also a season of cold and wetness. And you don’t want to ruin a snowy adventure and end up soaking wet. Hence, choose a pair of snowboarding pants that are waterproof or water-repellent. COMFORT & FIT: Pants should always be comfortable enough to wear. The perfect fit is also a must. Whether you opt for baggy or slim styles, the pair of pants you’re buying should fit well around your legs. Sizes are always available. So, if you can try it out in the physical stores, make sure the fit will allow you to move freely, especially if you’re going to use it for snowboarding and other winter sports. Picking out the pants online, always refer to the size charts for a precise sizing. STYLE: There are a lot of styles to choose from. Each and one of these styles showcases features that will also contribute to its comfortability and fit. Some have stretchable or garterized waistbands with zippered pockets. You can also consider the length, especially when you are taller than the average height for men. The colors are also available depending on your preference in style. BREATHABILITY: Mesh-lined vents make the pants more breathable. 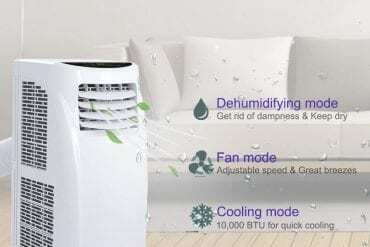 It is vital to pick out a pair that does not build up a lot of humidity inside. So you can move comfortably and freely while snowboarding. Moisture build-up leaves you a tacky feeling that might be utterly uncomfortable while you are out for a winter adventure or just attending some duties in winter. You can opt for those fabrics that have high breathability ratings such as microfiber, polyester, nylon, and gore-tex materials. INSULATION: Besides the vents, waterproofing property, and breathability, insulation is one of the essential features you can never ignore. Keeping yourself warm in the midst of the frigid winter seems to be far-fetched. But with all those insulated pants, you can go for a snowy and breezy adventure ride without freezing to death. Make sure the pants are insulated with a high-quality lining that will keep you warm all the time. Winter’s one of the best seasons for an incredibly fun! You should enjoy every bit of this cold weather with all your winter activities and adventures. But before you head out and frolic in the snow, you’ve got to choose the best winter outfit that will combat the cold, especially when you’re snowboarding! If you still can’t find the most suitable snowboarding pants to pair up with your snowboard jackets, this comprehensive guide will help you find the top picks on the market. You can run through the list for the top choices and pick out the ones that will suit your style and quality.